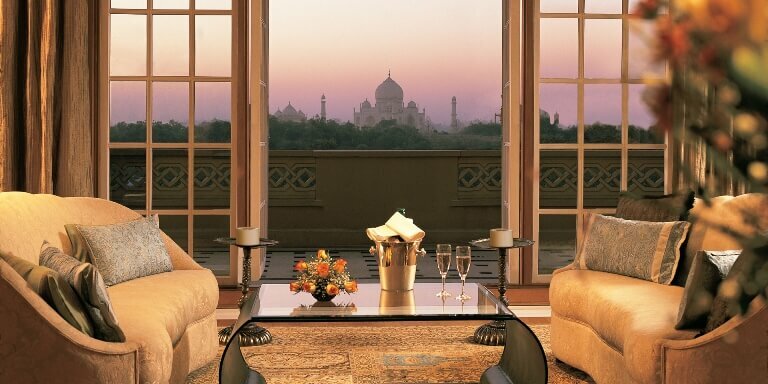 If properties could cast a spell on you, The Oberoi Amarvilas in Agra would be assumed to indulge in some sort of witchcraft. You have to stay here, dine here, and get a spa treatment done here, to know how it feels like being bewitched. 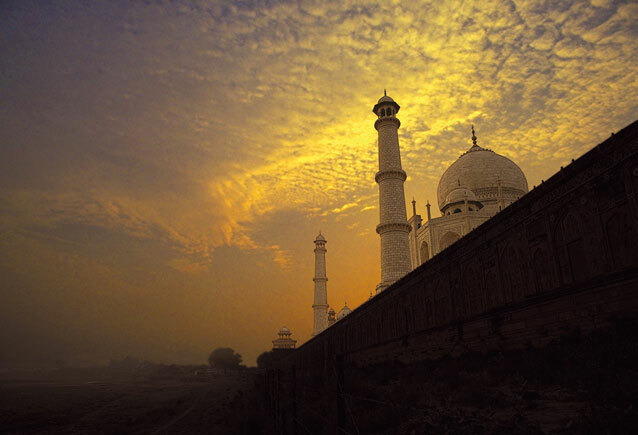 The city of Taj Mahal also houses the Amarvilas Spa, which promises an exquisite spa experience coupled with great habitability. The spa, of course is one of the main highlights of the hotel and the guests can relish and indulge in a pampering day at the spa. The therapies differ from person to person and one can choose the perfect session for themselves after a consultation service with the experts. 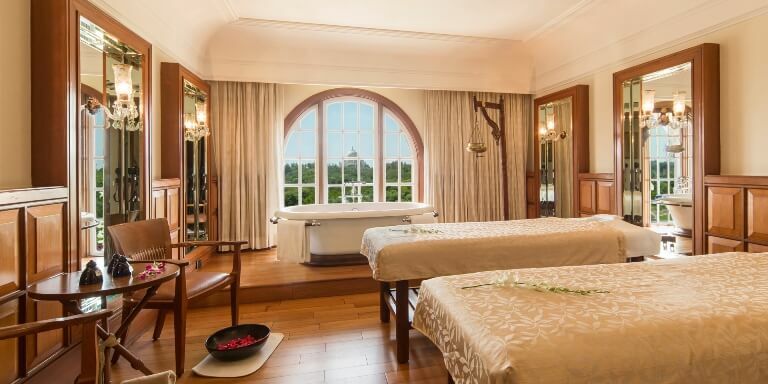 The main therapies at the hotel are The Oberoi massage, Chakra Head and Shoulder massage and Noor-e-taaj, which is a 3 hour long session and includes a complete package of scrubbing, cleansing and a lavender bath. If you have chosen Agra, as your choice of wedding destination, we reckon Amarvilas Spa experience would be simply unforgettable. Perhaps you would like to book a day here for the bridal party and have the lusciously relaxing and pampering time at their spa. The hotel also offers incredibly romantic dining experiences like Private Terrace Dinner and Dine under the Stars, both wonderful ways to celebrate your wedding anniversary. For those seeking to tie the knot in the city of love, The Oberoi Amravilas could be chosen as a venue for engagement in their Mughal gradens or their ornate Roshanara and Jahanara banquet halls. Or small pre/ post wedding functions like brunch or a sit down lunch could be organized in their Birbal and Tansen rooms. 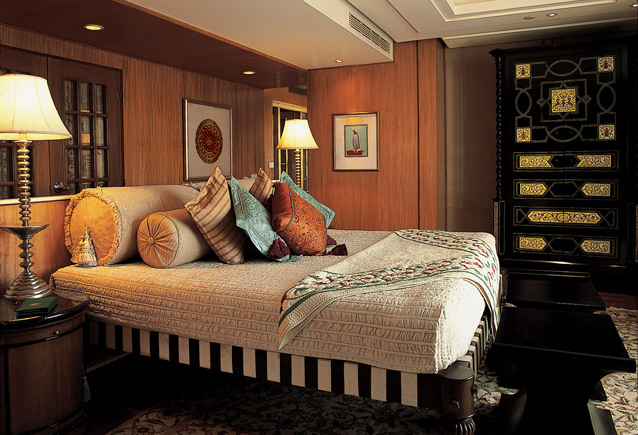 The Oberoi Amarvilas is more suited to intimate functions or engagements or wedding anniversary celebrations. For the wedding ceremony, we would like to suggest you ITC Mughal, which is also a remarkable property. 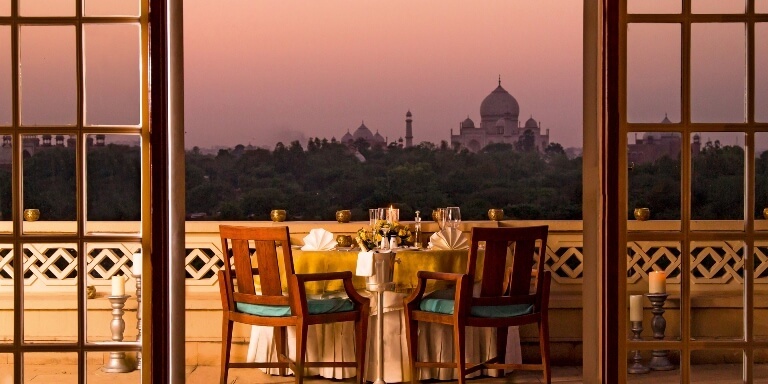 So if you would like, we can plan your destination wedding in Agra, where we could arrange for you to have the luxuries of both the hotels, and of course there’s always Taj, so it would definitely be a good idea to plan your pre wedding or engagement shoot with The White Wonder, in the backdrop. 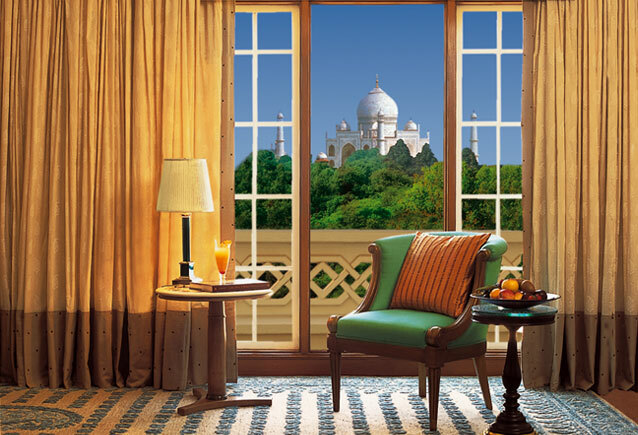 indeed Agra, what could be more lovely than having stunning Taj Mahal view from your rooms, spas and almost everywhere.